With WriteLog set up to use a separate sound device per radio, and also configured for the station microphone and operator headphones, it has all the station audio routed through the PC and available for processing. WriteLog acts as a sort of crossbar audio switch. 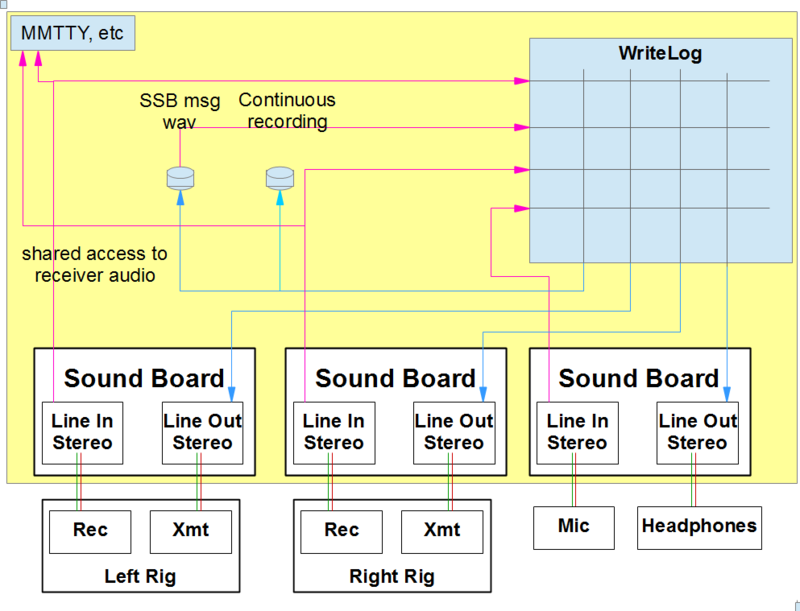 The pink arrows show sound coming into WriteLog from receivers or the station mic. And the blue arrows show the sound coming out to either transmitters or to the operator headphones. 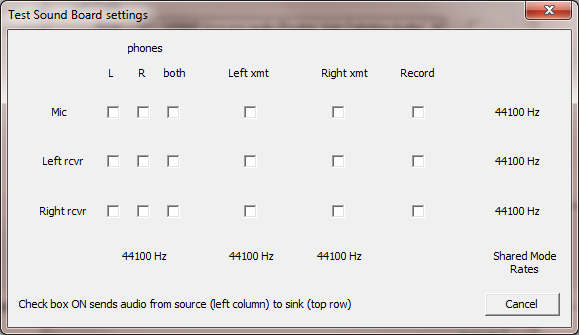 The MMTTY digital decoder in the upper left is shown to emphasize why WriteLog should not normally be configured to allocate the receiver audio channels exclusively. The shared access, however, does increase the latency in WriteLog’s routing of receiver audio to the operator headphones. All the above in a fully configured shack is a rather complicated system. The WriteLog sound board mixer control has a Test button that brings up a dialog that enables you to exercise that internal audio crossbar switch.